Check out our latest creation. 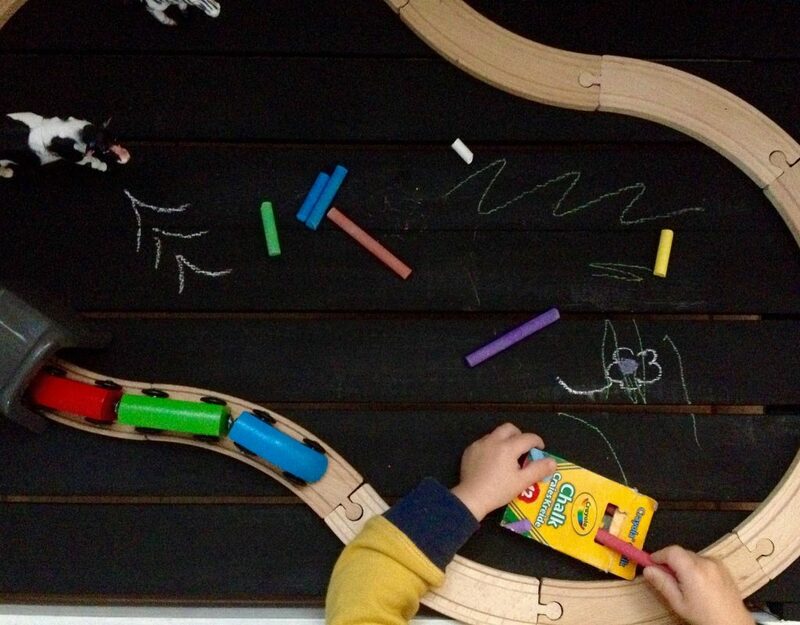 This DIY, blackboard play table. With our house currently frozen in the age of the toddler, life is an everyday battle against the war on childhood graffiti. My once white, crisp shabby yet chic, one off pieces now all embellished with Crayola. Don’t get me wrong, a little elbow grease and it all comes off but, it’s another effort to add to the list of ever increasing chores as a result of juniors inquisitive mind expanding and exploring and as lovely as that is in theory, the reality is it’s an absolute ball ache! Enter Our DIY Play Table. One of my favourite past times is to do up old furniture , bargain pieces that I’ve discovered in the deepest, darkest depths of old warehouses and charity shops. A go to paint for doing up such pieces sympathetically and with as little effort or expense as possible is chalk paint. However, not having the high gloss means it scuffs easily and is very absorbent especially to felt tip markers, play dough and greasy fingers. 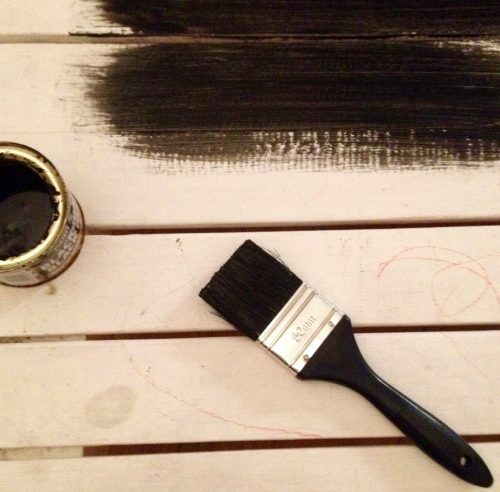 Recently on a trip to restock on chalk paint I found my latest saviour; chalk paints slightly more studious older brother, black chalk board paint. 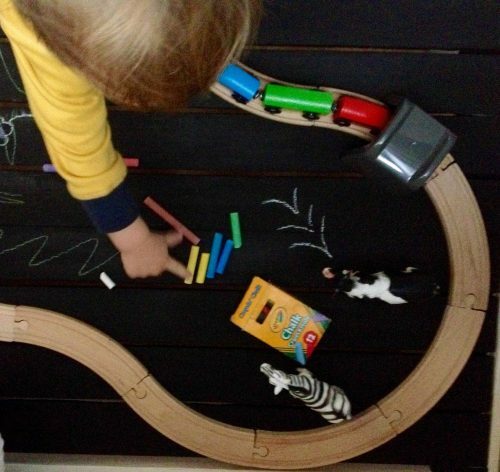 The great thing about the black board table is that you can tie it in to your own decor. 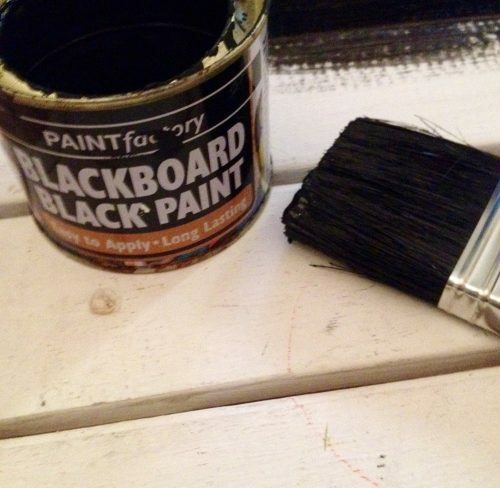 I’ve previously used black board paint on some of my grown up furniture. ￼This time however, I’ve used an old, low level, pallet. We had originally constructed it as a coffee table. However, we soon realised it was perfect height for Theon to play ‘trains’ on. Now with a splash of paint it’s also great for him to lounge around and scribble on (legally!). For more info on DIY projects like this one email us:enquiries@booberrit.com or follow us on Pinterest. Next Post Flying Pregnant With Toddler: What Not To Do!